Passion is powerful. Defined as a strong and barely controllable emotion, once it takes hold, it fuels life. Whether it is for someone or something, within your personal or professional life or a mixture of the two, passion is a youthful energy that stimulates both innovation and attraction while also acting as a form of communication that transcends age, culture, and language in a pure and raw form. It is beautiful. However, the level of vulnerability that is required to be truly passionate makes it, at times, painful. For the past year, Wish for WASH, LLC has been the heart of my professional life because during my first year of college, my worldview noticeably shifted after I learned that nearly half the world doesn't have access to toilets. This shift resulted in a powerful rush of shameless and uncontrollable passion beginning with my 18-year-old self declaring that I would design toilets to my now 23 year old self who is scrambling to make entrepreneurial ends meet in order to take actionable steps towards helping solve the global sanitation crises. People frequently say that I radiate passion for this work and that they really want to find "their toilet"- or something/someone that they care about as deeply as I care for improved sanitation and health equity. The frequency of these questions demonstrates the powerful pull passion has for so many people. But when asked "why are you doing this? ", I have to intentionally think about what it means to live passionately and how to maintain that energy. Truly living a life rooted in passion, as I have increasingly found, requires extraordinary resilience. Crazy entrepreneurial hours, constant troubleshooting, repeated failures, perpetual naysayers, or being completely heart-broken. These are just some of the unfortunate realities that come with living passionately. Whether it is for your personal or professional life, you must understand the ethics and life experiences that have shaped your worldview and determine which of your core values are unwavering. Knowing these values and reflecting on them regularly allows you to maintain your strength, because when you stand steadfast in your beliefs, you are better equipped to regain the stamina that is needed to move past the next obstacle. Clearly defining and embracing your personal core values allows you to build a solid foundation of confidence. These values will remain true in all aspects of your life and to live passionately, you need both your confidence and your conviction. The backbone of any passionate pursuit is often rooted in deeply held personal values that you want to share with others. This is an incredible resource to help in defining your core values. This is your unique value proposition that allows you to improve a relationship, a work environment or the world. By working to blend your core values with your acquired skills, you can more readily find a way that you can add new value such as providing a new perspective, acting as a change catalyst, or adding optimization strategy to a work place. Clearly defining your specific added value goal is essential. As you passionately seek to leave things better than you found them, your mission will develop a sense of urgency and purpose. With the ever abundance of 'external' naysayers, you need to insure that your 'internal' team, or your inner circle, respects and supports your values. I have found that surrounding myself with unabashed supporters inspires me to reach for new heights and goals despite the odds. Despite your best intentions and admirable goals, you must evaluate whether or not you are executing your value proposition in a way that is making a difference to your intended recipient. If you find that you are not truly creating your targeted added value, re-examine your personal core values and skill set, reevaluate your relationship or work place, and realign yourself to get back on the path that is fueled by your passions. Living passionately is not about achieving personal goals and accolades; it's about making a difference for someone or something else. Passion is contagious and if you are truly living in it, everyone around you becomes aware of your drive and commitment. Building a career or a life with someone that continues to fuel your passion is unbelievably fulfilling, but can simultaneously be painful as your heart or work can be harshly judged by others. I have found that staying focused on attaining my intended long term goal of helping to creatively rectify the global WASH crisis and keeping myself accountable for smaller, short-term goals by surrounding myself with people that continue to challenge me to grow in my passion has kept my fire for this work alive. In the end, Wish for WASH has opened my eyes to just how hard it is to live passionately, and as a young social entrepreneur, I am still learning the importance of taking time to reflect on my personal value development as a way to build up resilience and intentionality within my work. 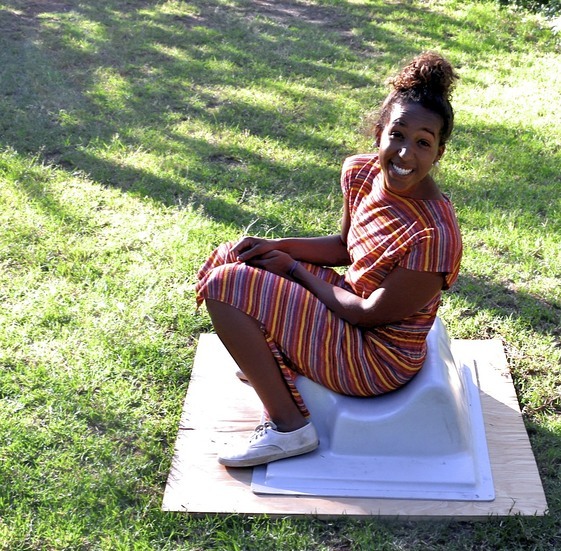 Despite the barriers our team has faced in project management, manufacturing, business development, and fundraising, we continue to persevere in our toilet hustle because we deeply believe in utilizing our collective business, research, engineering, and design skill-sets as tools in the fight for health equity. What I believe is working for humanity is when people find their passion, and they fight for it in accordance with Howard Thurman's sage advice: "Don't ask what the world needs. Ask what makes you come alive and go do it, because what the world needs is people who have come alive." As 2015 comes to an end and a new year begins, I encourage you to begin your search to find "your toilet" while also supporting ours here because #everybodypoops.